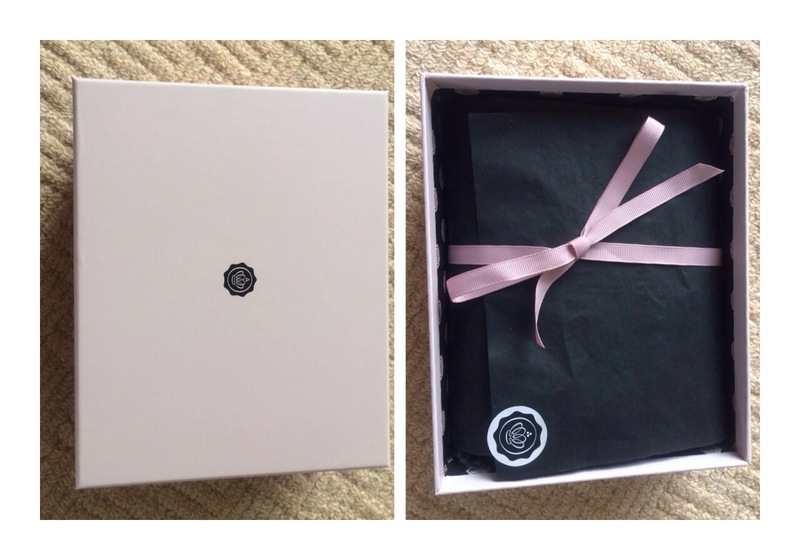 This months GlossyBox arrived and I was mega excited to see what Autumn/ Fall products they would have inside! This cheek tint is something have tried before but finished t and never repurchased! I’m a bit fan if cheek tints because powders and creams don’t last all that well on my face so to have something like a stain is perfect for me! 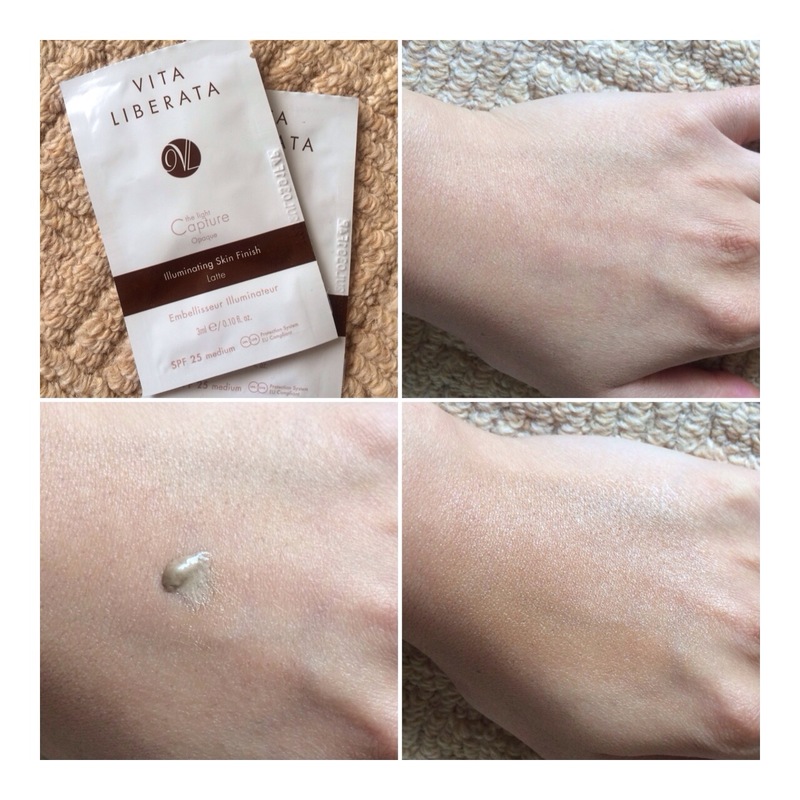 This is lovely and lightweight, it’s also super-blend able and looks natural on the cheeks! As well as the nice and light price tag, it’s a steal and I’m so glad that my GlossyBox had a full size bottle! Woo! When I first saw this, I was sceptical because I hate sachets and packet samples of products! But after trying this yesterday, I can co item, I’m tempted to buy this for summer! I was confused at first as to what it was but it’s like a glowy fake tan with coverage! Imagine applying a darker foundation with shimmer in it, on your skin.. And you have this! It’s lightweight and mousse like which gives the skin an airbrushed finish! I love fake tanning so this is perfect! Probably not the best product for the colder months though, GlossyBox! I think I would have preferred this in summer! 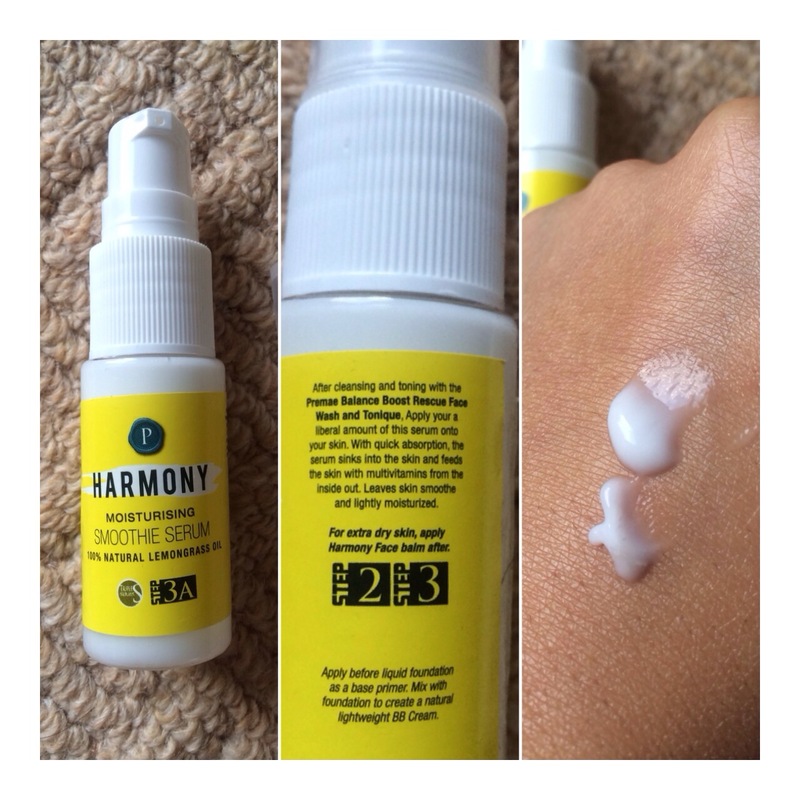 When I had received the Harmony balm a few months ago, I had fallen in love with the stuff and was really tempted to buy the full size were it not for the hefty price! So I was glad to see another product from their line! This product claims to be a moisturising serum which doesn’t let you get oily! I out it to the ultimate test of wearing it at night after I’d cleansed (needed the moisture) and when I get the most oily! I woke up to my skin feeling soft and not as oily! It didn’t work miracles but it’s so nice and lightweight on the skin! Perhaps another product I’d have preferred in summer? 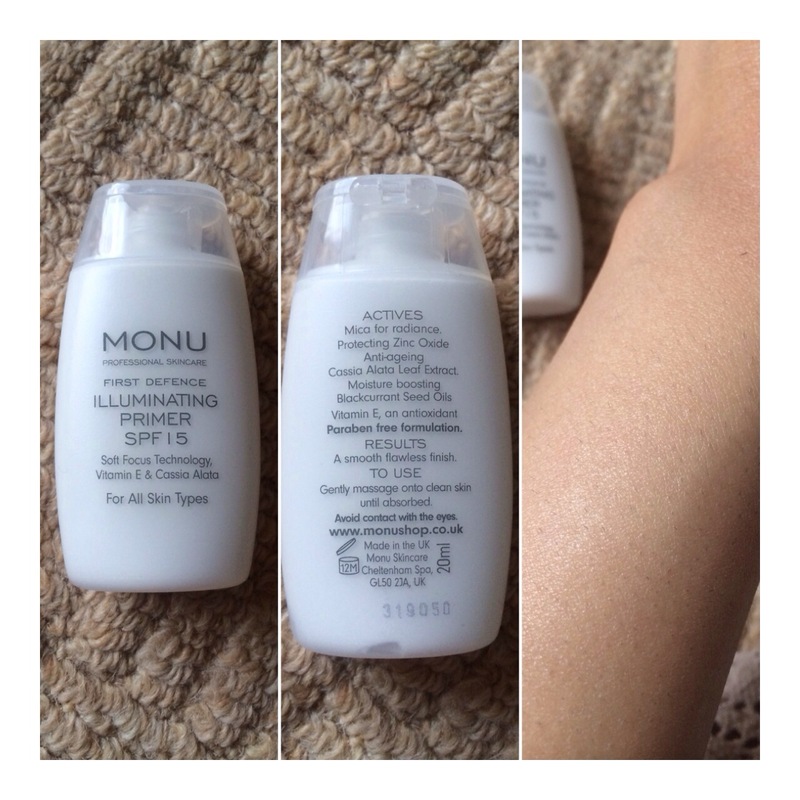 When it comes to MONU products, I love them! Every time I’ve received something in my GlossyBox which is branded MONU, I’ve taken an instant liking to it: MONU revitalising cream, the heated mask and now this! When I saw this primer, I was sceptical to trying it because I already love the Benefit one I’m using at the moment. However, I love that this primer is so light and so easy to use! It doesn’t let my skin oil and it has a gorgeous shimmer running through it! It’s quite paste-like in consistency and seems as though it would be quite heavy on the skin but I’m actual fact, feels amazing! It instantly brightens your face and gives you an illuminating glow! I love this already! 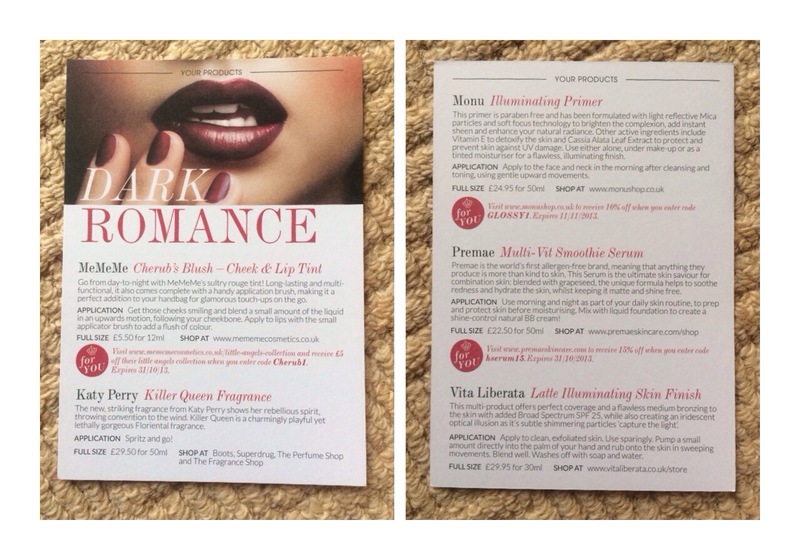 When I received this perfume sample, the first thing I thought was.. AGAIN? I had already got this in a previous box! And to be honest, I wasn’t that keen on the scent! 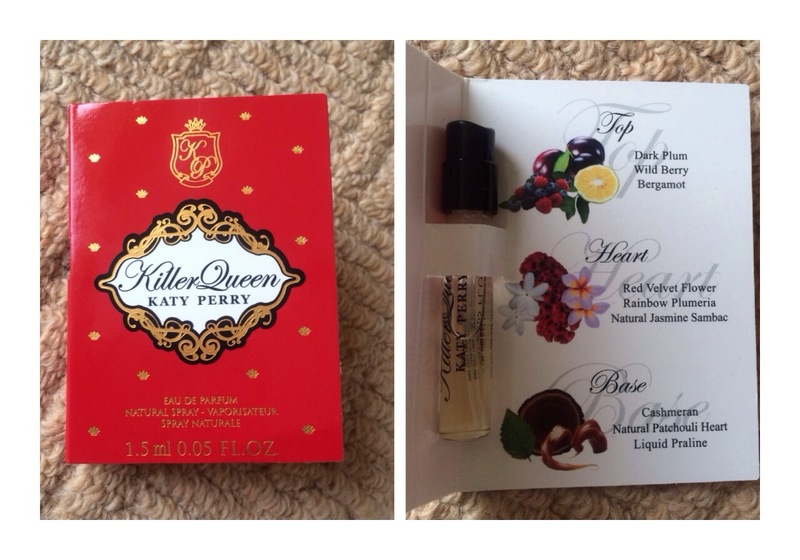 I love the Katy Perry Purr scent which I own but was a little disappointed with this one! It’s still sweet and has a nice summery scent but it’s not something I would reach for in Autumn I feel! Definitely worth a sniff during the warmer months though! I really did enjoy it! I’m really pleased to see the feature on your website.. I hope other people love this cream as much as I do!